Buddy Holly's first ever record label, Decca, is proud to announce the release of a stunning collection of the singer's most beloved hits, set to brand new orchestrations. 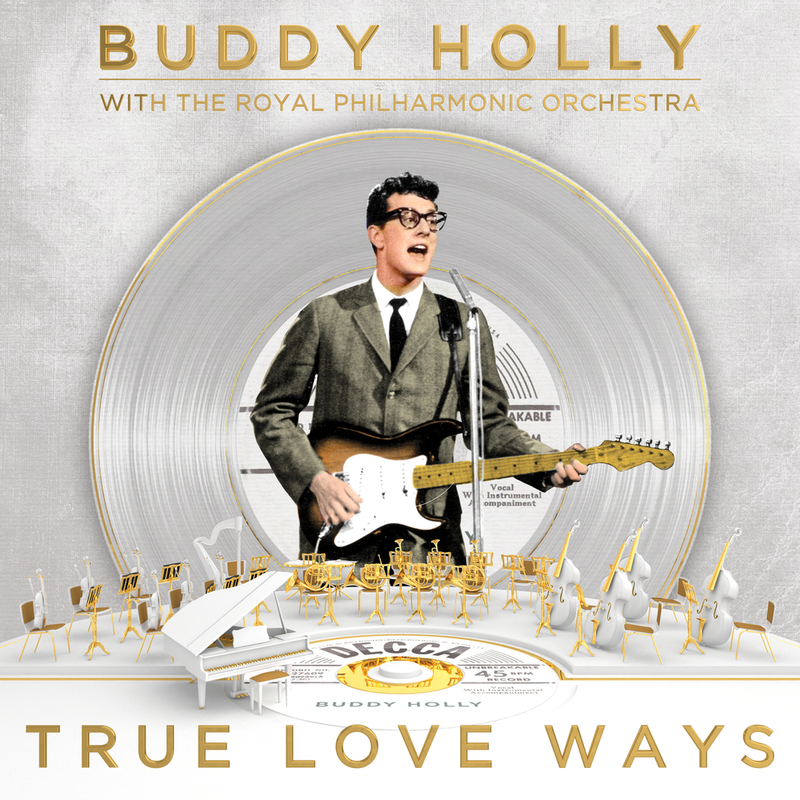 Entitled True Love Ways (the name of the song written for Buddy's wife Maria Elena), this newly-recorded album features Buddy Holly's utterly distinctive original vocals and guitar playing set to exquisite arrangements performed by the Royal Philharmonic Orchestra. It celebrates the 60 year anniversary of Buddy Holly's last ever recording session and is the poignant realisation of a dream the star first explored just four months before his tragic death in a plane crash at the age of 22. "Buddy felt orchestral music in a popular vein was where the future lay, so he wanted to write, record, explore and innovate that style. So what better combination than the Royal Philharmonic and Buddy's music. It's just beautiful"